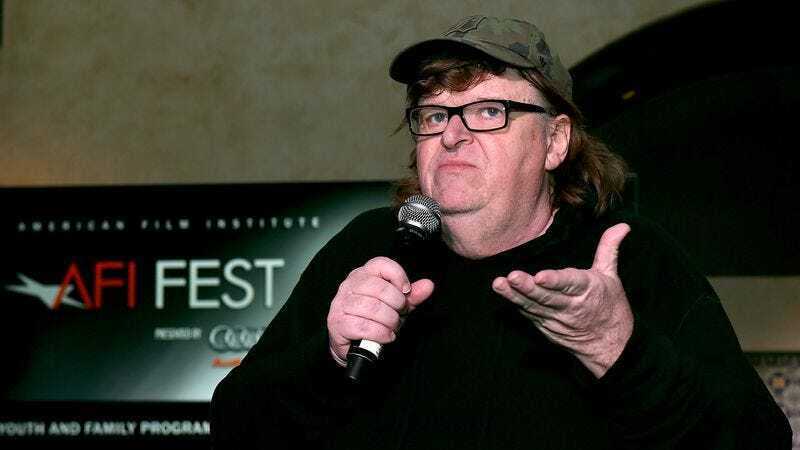 Defying Michigan governor Rick Snyder—who released a statement earlier this week saying that the state would no longer be taking in refugees from the fighting in the Middle East—filmmaker Michael Moore has offered his own home to any refugees who want to stay there. Writing on Facebook, Moore laid out a proposal that’s one part humanitarian good to one part Michael Moore-esque political screed, lambasting the numerous governors who have closed their state borders to immigrants in the wake of the recent violence in Paris and Beirut for being “Republicans” instead of “Americans,” and offering his 700 square foot apartment (including the use of his new dishwasher!) to immigrants desperate for a place to stay. Addressing Snyder in the open letter, Moore wrote, “I just wanted to let you know that, contrary to your declaration of denying Syrian refugees a home in our state of Michigan, I myself am going to defy your ban and will offer my home in Traverse City, Michigan, to those very Syrian refugees you’ve decided to keep out. I will contact the State Department to let them know I am happy to provide a safe haven to any Syrian refugee couple approved by the Obama administration’s vetting procedures in which I have full faith and trust.” Moore then went on to lay out his vision of America’s immigrant-based history, and expressed his disappointment in Snyder’s administration. As is so often the case with the controversial Bowling For Columbine documentarian, it’s hard to suss out here where gesture ends and the actual good begins. It remain to be seen, in any case, whether any refugees actually make their way to Moore’s door, or if this is more about rubbing virtue in a political enemy’s face than giving aid to people who are desperately in need.